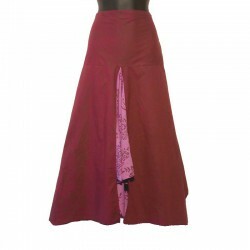 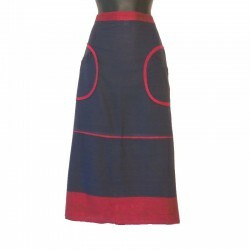 Ethnic long cotton skirt, belt and side design, made in Nepal. 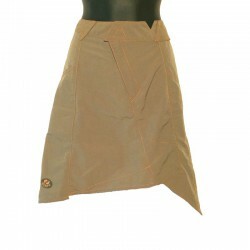 Zip closure and twine tightening on the side, 1 small zip pocket on the front. 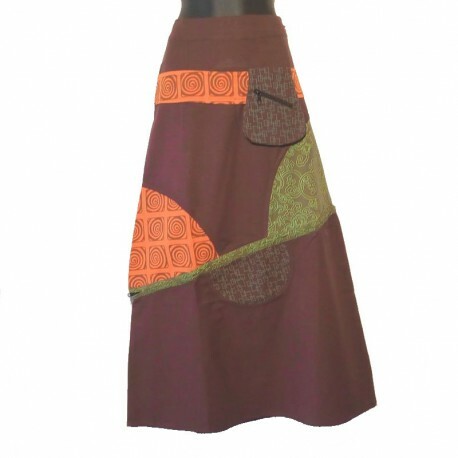 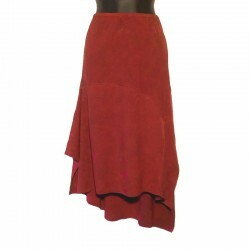 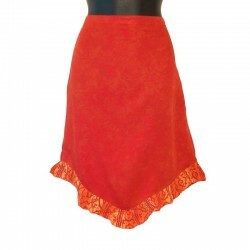 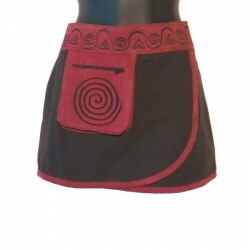 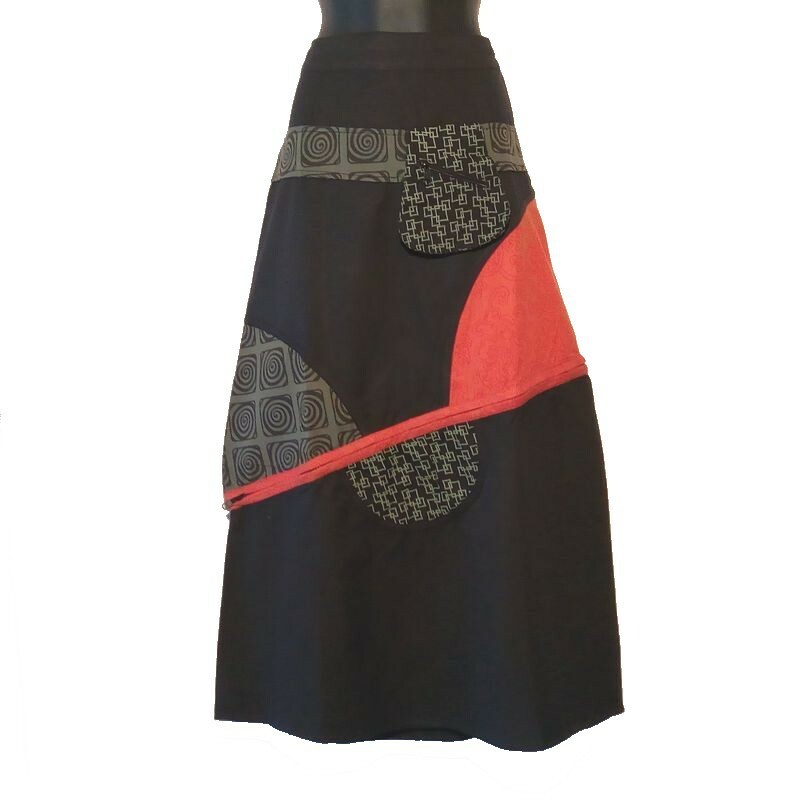 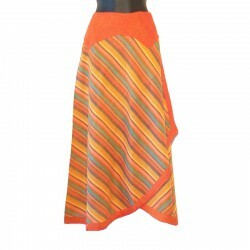 The originality of this skirt is in the Zip bias that allows to transform it into a short skirt. 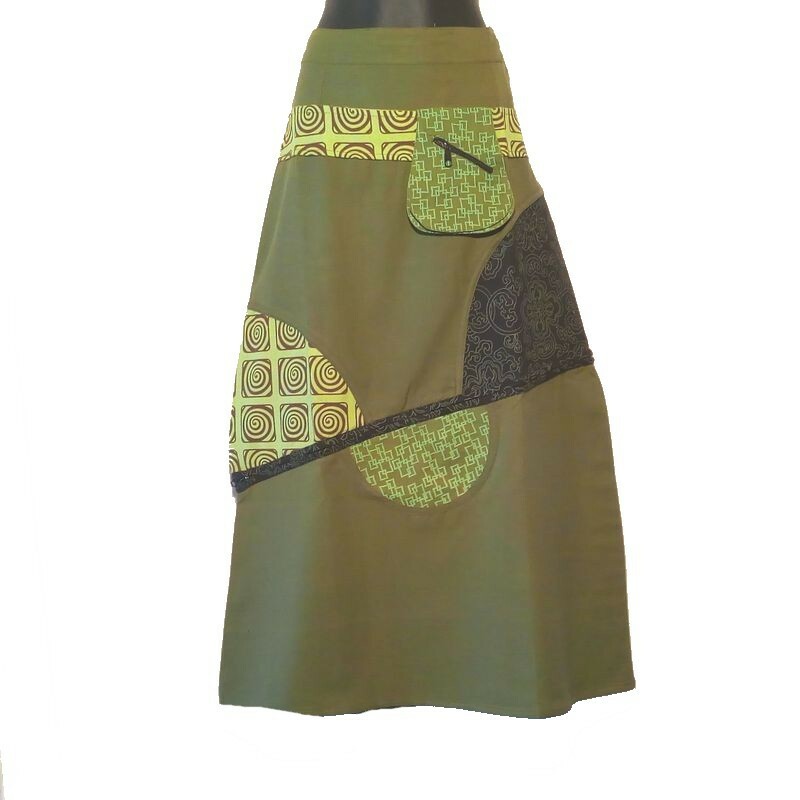 This long skirt is available in 3 colors.